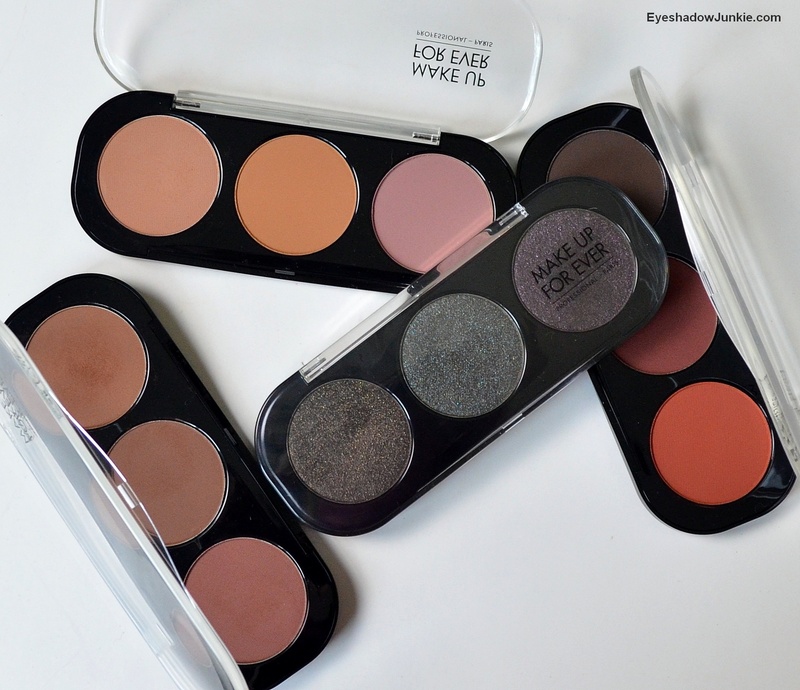 Make Up Forever reformulated their shadows last year. Obviously, I’m slow to blog about this topic. Okay, really slow, but in my defense it took a while for me to warm up to these. I initially tried three shades during the fall Sephora sale last year and I wasn’t wowed. 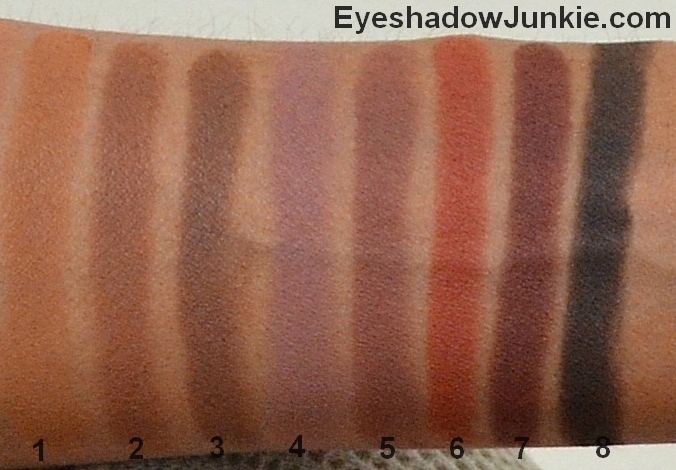 Sometime later, I swatched more shades at Sephora, but passed. Eventually, I came around during another Sephora sale earlier this year, but not every shade I have is impressive and varies based on the finish. I’m most impressed with the iridescent (I) and metallic (ME) finishes. They swatch nicely and applies even better. The texture is creamy smooth and blends easily. You really get an intense color payoff. I have to take it easy on the paler shades because it could be too stark on my skin color. The diamond (D) and matte (M) finishes are nice and have good color payoff. The mattes are soft, buttery and blend nicely. As they are soft, they kick up a bit of product when getting the color onto your brush. The diamond shades (more so the blackened colors) have fallout when applying. The finish I liked the least are the satin (S) finish shades. 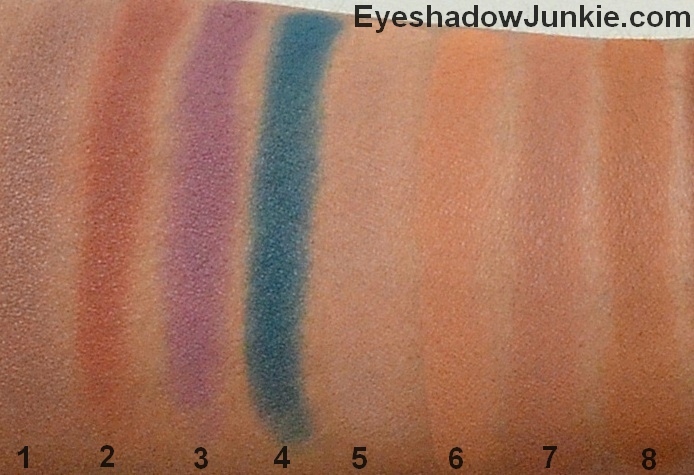 The strange thing is the satin shadow swatches are lovely, initially. To be specific, you would get great payoff on your finger or your brush. So, you think you’ve got yourself a great shadow, but the intensity disappears once it’s applied. I found this consistent when using my finger, a sponge applicator (used for photos) and a brush. I find myself reapplying several times to build the intensity. If you’re new to these reformulated shades, be warned they come in a temporary case, meaning a cheap, flimsy plastic. You’re forced to use an empty magnetic palette already in your collection or purchase a custom palette case. On Sephora’s website, you’re offered a deal when you buy multiple shades. When you add two shadows and a Duo Palette to your basket, a $9 discount will be applied automatically at checkout. When you add three shadows and a Trio Palette to your basket, a $20 discount will be applied automatically at checkout. Each shade retails for $21 and you get 0.07oz of product and individual Custom Palette Cases are $1.